Peasants are the backbone of the rural economy, and the soldiers of last resort. While not warlike by nature, they will stubbornly defend their homes. However, if you're hurling peasants at your foes, you're clearly out of superior forces. 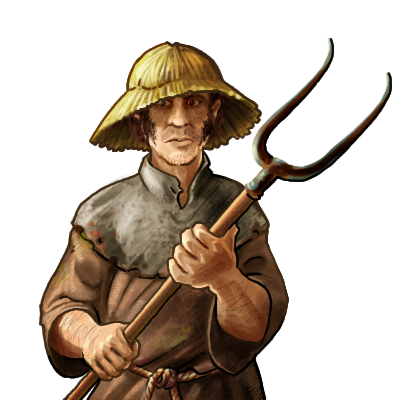 Note: In Cities of the Frontier, Peasants cannot level up into Bowmen until you have built a bowyer's workshop with your Peasant Workers. Last updated on Sat Apr 20 01:02:47 2019.